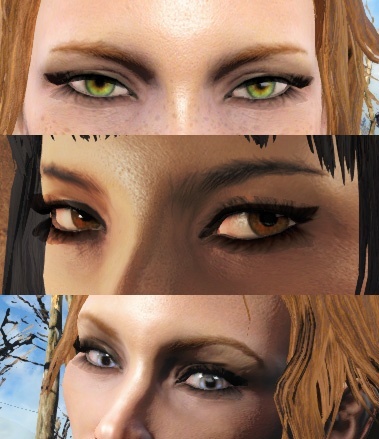 Enhanced normal maps for the eyes. Do not re upload anywhere. Bethesda - for their attempts to copy my work with the vanilla textures. 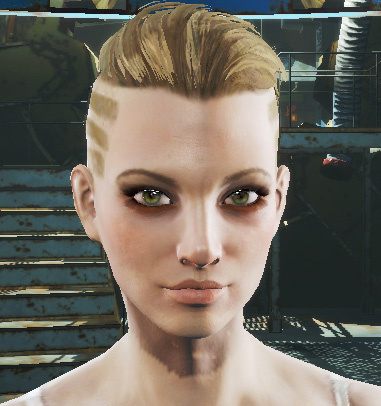 Alternate Start Ghoul Kristen save game file. There is a new High Contrast version in the Optional files section. 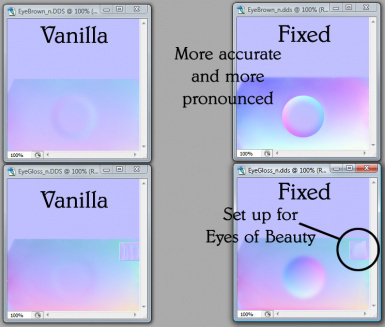 It will overwrite the main file with one that adds a bit more depth. If you downloaded the first version, please try the newer 1b version main file, or the high contrast version. It will alleviate the streaking over the lenses that was happening on some systems. 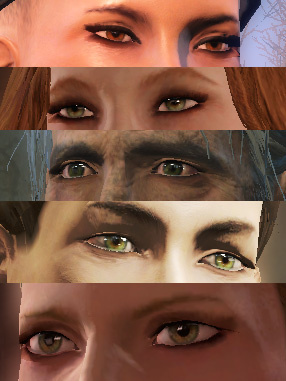 Bethesda attempted to copy my corrections to the Skyrim eye normal maps, but didn't quite get them correct, or sharp enough to really stand out. So I rebuilt them. This will make the contrast between the sclera and iris a bit more dramatic. The changes will be subtle with 1b and slightly more enhanced with the high contrast version. 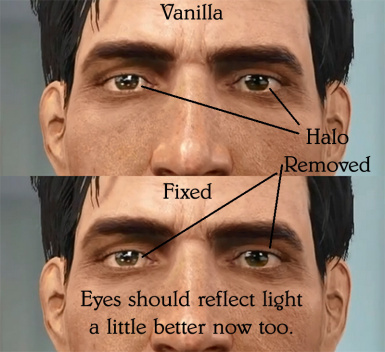 And most importantly, it will also get rid of the contact lens halo caused by the vanilla textures on most custom eyes. I do not own Fallout 4 yet, so testing has been limited to swiping the files I needed from my roommate's computer and tossing them back in after fixing them to take a screenshot. 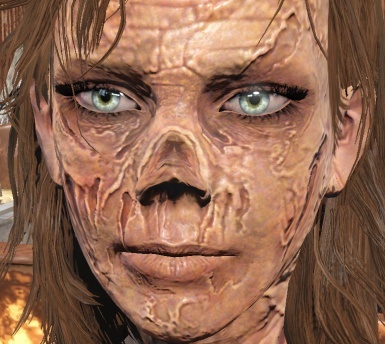 If this is the first texture you have downloaded to install, please go to your documents folder and open My Games, then Fallout 4. Due to what recently happened to LindyBeige and TheignThrand on YouTube, I am moving my tutorial videos to Vidme. can get out of noob status, I can continue uploading my tutorial videos.